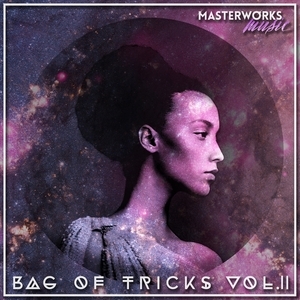 The first installment of the Masterworks' Bag Of Tricks series went down a treat upon its summer release. Now it's the autumn and they've rustled up some more edits, 15 in fact, again featuring some big names on the nu-disco scene. This new comp will one and all swinging from the rafters from fireworks parties to Christmas knees-ups. Highlights include the Cathy Dennis-sound-alike cowbell jam "You Know How" by RobJamWeb, the swaggering guitar strut of "The Walk" by Silver Rider and Rabo & Snob's quirky, perky hiNRG pumper "Harry Rama".